The Farmers Market Annex is more than just a weekend market. 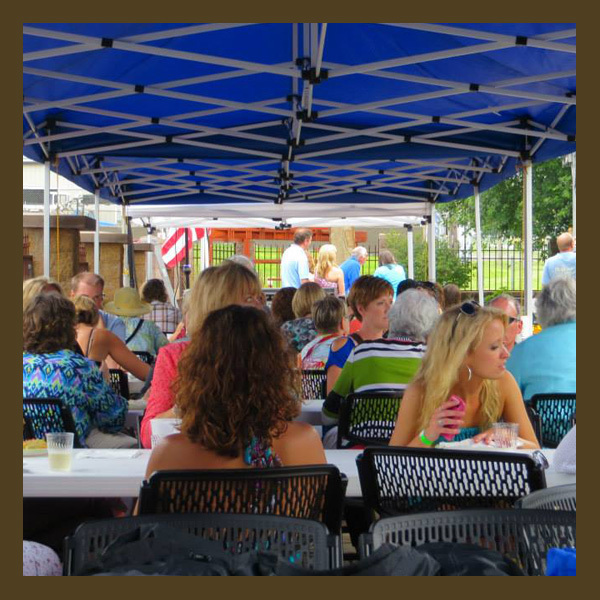 Our Urban Garden Event Center has been hosting a wide variety of events for over 10 years. 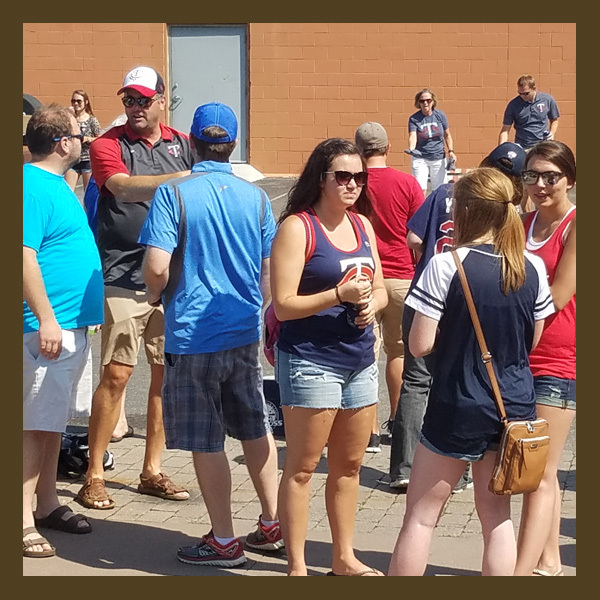 Our focus is on large group and corporate events, with a specialty focus on tailgating events before Twins games. We are just outside downtown Minneapolis and within walking distance of Target Field. So if you are looking for a unique space for your next event, let the Farmers Market Annex host. We offer a variety of spaces for hosting your event. Rent just one or rent them all, it all depends on how big your event is going to be. Urban Garden The Urban Garden is a beautifully landscaped space complete with soothing water features and paved strolling paths, and plenty of blooming flowers. This is a perfect for an intimate, elegant event. Market Pavilions There are three pavilions which normally house our vendors on weekends. You can rent one, two, or all three of these. They give shelter from the sun or rain. These are perfect for a larger event or for tailgating. Full Lot If you have a really big event you can rent out the full farmers market, the lot, the pavilions, and the Urban Garden! This gives you lots of options for spreading out a diverse event. 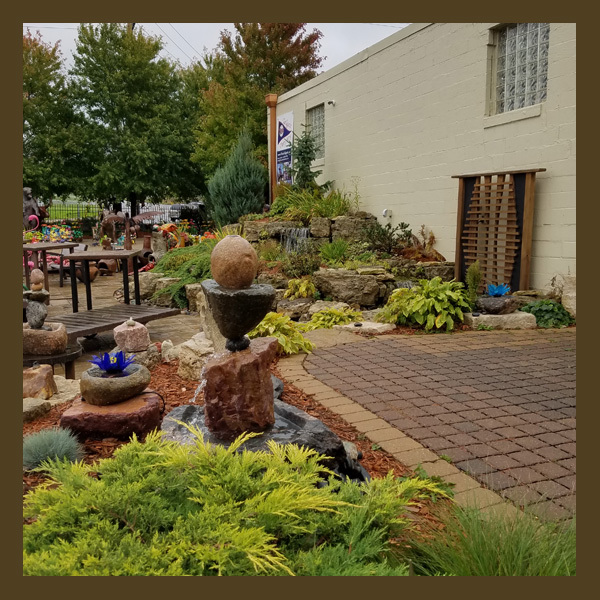 What makes the Urban Garden Event Center stand out over other outdoor urban spaces is the wide range of amenities we offer. We are always expanding and improving these with the new indoor bathrooms and the kitchen being the latest improvements! Market Kitchen New for 2018 is a state of the art commercial kitchen. This will help both us or your caterer prepare most any food that can't just be thrown on the grill. Indoor Bathrooms New in 2017, we have climate controlled men's and women's restrooms. They are clean, stocked and ready for your guests. Canopy Tents Need more shelter than the pavilions can offer? We have a host of tents in both 10x10 and 10x20 sizes. Tables & Chairs We also offer all the seating and table top space you need. From picnic tables, to standard 8 foot tables, to high tops, we have you covered. What's a party without food? There are two ways to give your guests a great feed bag. Let us Cater We have that shiny new kitchen and we know how to use it! We offer our famous BBQ meal with your choice of meat, chips, seasonal fruit and vegetables, water and cookies. We use local produce (when it's available) and always give you top quality. Check out more about our Famous BBQ Meal. 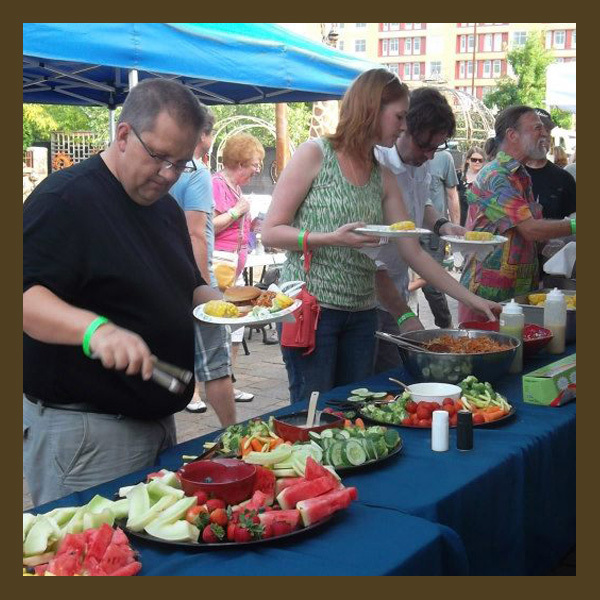 Bring in your caterer or food truckIf the BBQ meal isn't your thing, you are more than welcome to bring in your own caterer or even a food truck to feed your guests. They are more than welcome to use the Market Kitchen to prep and clean up too! Beer We know you were wondering. YES you can bring beer! Some restrictions apply, but we do allow alcohol at events hosted here. Ask Audrey about all the details. 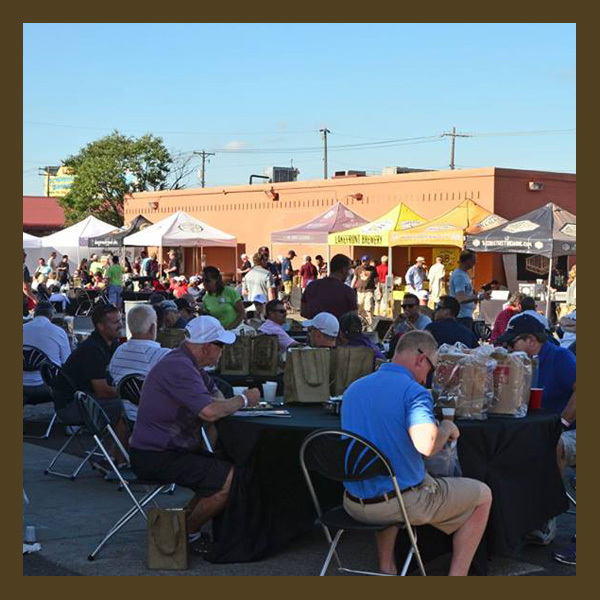 Invite your friends to a one of a kind Pre-Game Tailgating Experience! Enjoy the great outdoors; eat food, have a beer, play catch with your kids, enjoy the company of your friends in a relaxing, stress-free environment. We are just a few minutes walk from Target Field.